Say hello to Ronda for us. 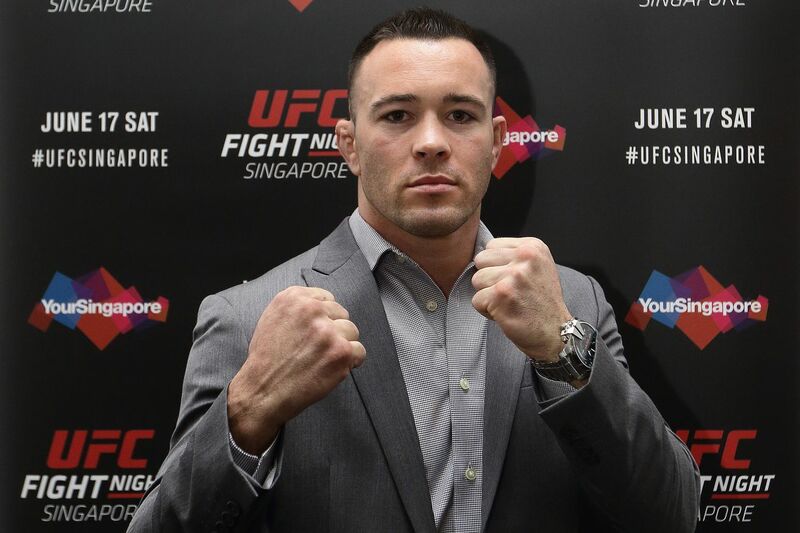 Former Ultimate Fighting Championship (UFC) interim welterweight champion, Colby Covington, is a pop culture personality now, right alongside Tila Tequila and that kid from Jerry Maguire, thanks to his outspoken personality and flair for the dramatic. But his fame and fortune did not come from any sort of marketing push by the organization and “Chaos” was forced to promote himself (by any means necessary). Aping Chael Sonnen’s “bad guy” schtick, Covington turned heel roughly five years back. I suppose Covington’s definition of “working hard” includes calling the cops when confronted by bigger, stronger fighters like Fabricio Werdum. And I wouldn’t recommend a trip to this heavyweight’s home town without Sonnen’s fake mustache and glasses. That said, disguises (and rubber mallets) are always welcome in pro wrestling. Covington is holding out for a welterweight title shot, which as of this writing would come against the winner of Tyron Woodley vs. Kamaru Usman at UFC 235, but “Uncle Fester” wants “Chaos” to fight his way back into contention. “Although this is a very difficult time for me and my family, I felt that this fight in January was important. I felt that it was extremely important to me to follow through with it, not only for me but first for my daughter, and other people that might be going through similar situations. I want to take a stand against domestic violence, and show others that its okay to come out and speak about it, and not be quiet. Mr. Berdon, her husband, has pleaded innocent to the charges, downgraded from attempted murder, posted his $ 75,000 dollar bail, and is currently free until his next court date, December 18, 2018. He is under a temporary restraining order that extends to their 5-year-old child. 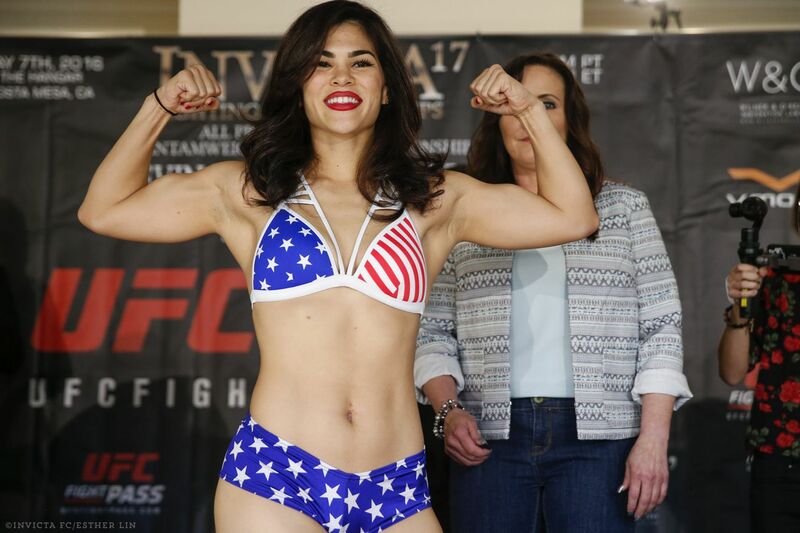 Ostovich is scheduled to face VanZant at the UFC’s ESPN+ debut January 19th in Brooklyn. Her training is limited currently, but she will transition back to full contact after getting a second opinion on the severity of her injuries. Her incident is one of several to affect high-profile UFC fighters, including Jessica Rose-Clark and Andrea Lee. MMA, according to an HBO study, suffers from a much higher incidence of domestic violence than the general population, or even the NFL. In fact Dana White recently signed former NFL player Greg Hardy to a development contract after his history with domestic violence ended his football career. Alex Hernandez, setting goals and accomplishing them. Whoops. Floyd Mayweather supposedly is in some kind of crypto trouble. It’s pretty incredible that the last time Junior dos Santos has won a fight inside the distance is over five years ago. It came with 42 seconds remaining in his fight against Mark Hunt at UFC 160 on May 25, 2013. He’s 3-3 since then with three UD wins and three TKO/KO losses. Well that’s quite the sequence. Tofiq Musayev is a unique fighter. Ben Askren is a 3-1 favorite against Robbie Lawler? How? I’m thrilled to announce that JMMA Korean-Japanese Legend Yoshihiro “Sexyama” Akiyama (15-6) (otherwise known as Choo Sung-Hoon) has officially signed with ONE Championship! Luke Rockhold and Robbie Lawler are odd teammates and almost totally opposite fighters, but they are both looking swole. TJ Dillashaw taunts Henry Cejudo for not fighting him at bantamweight. RIZIN is adding some new talent- Justin Scoggins will be debuting at 60 kilograms, which is 132 lbs. They also are promoting a cross-promotion superfight between Darrion Caldwell and Kyoji Horiguchi that is going to be awesome. This exhibition bout, of course, is still happening as well, which is going to bring an insane amount of attention to the event. Showing great knockouts is tried and true, but still a good way to promote fights. Christmas is coming up if anyone wants to buy me either of these Rhino revolvers. I would take a snub nose too, I’m not picky. When UFC Hall of Famer Chuck Liddell announced his intention to return to mixed martial arts some eight years after three consecutive knockout losses ended his Octagon run, there were plenty of concerns regarding the “Iceman’s” health. It is flying a little under the radar, because we are all getting stoked for Jon Jones vs. Alexander Gustafsson 2 — a rematch five years overdue — but the UFC 232 co-main event superfight between women’s bantamweight champion Amanda Nunes and featherweight champion Cris Cyborg is going to be fire. 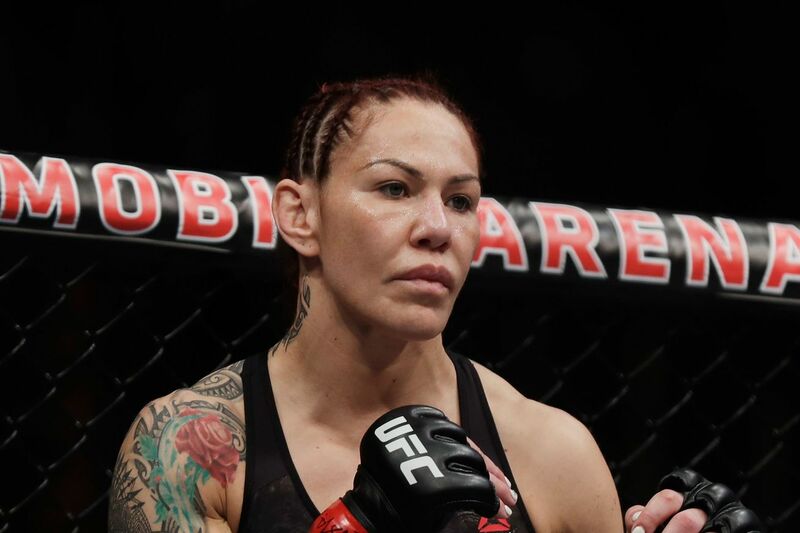 Cyborg will be facing an opponent with genuine knockout power, her toughest test to date. If she wins, she cements a legacy as the greatest female featherweight fighter of all time. If Nunes wins, she adds another belt to her collection and another superstar scalp to her legacy, having already choked Meisha Tate and blasted Ronda Rousey into oblivion. UFC 232 goes down at the end of the year, on December 29th in Las Vegas. Who are you picking in the co-main event? I thought this was a young Joe Rogan for a full few seconds. Andrea Lee’s husband Donny Aaron is still at large. Why has no one landed this knockout in MMA yet? One Minute Breakdown: Legal in Free Fighting! That Platinum dimension has Mike Perry’s name all over it. Forrest Griffin is still funny. Is Cowboy vs. Notorious the fight to make? 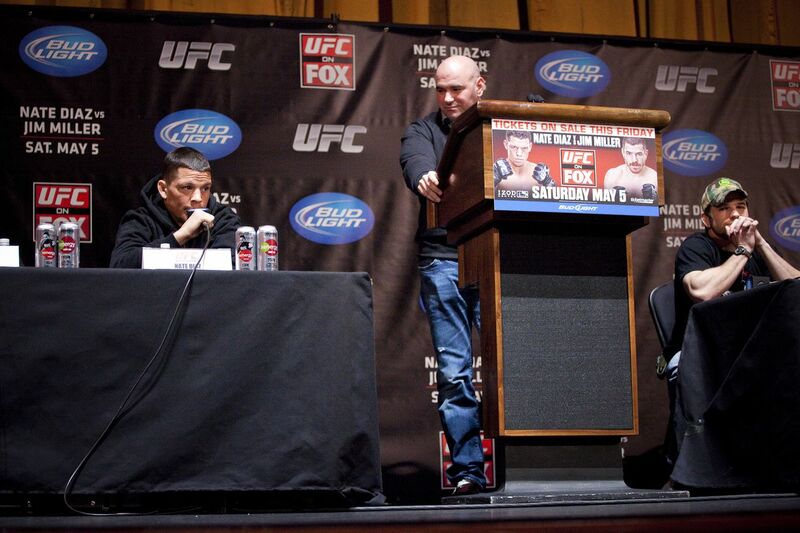 I’m upset how this photoshop treats Nate Diaz’ face. Chad Mendes trains his neck using this Space Age-looking contraption. Hey, if it works it works. His crackerjack matchup with Alex Volkanovski also goes down at UFC 232. Old art edits are my favorite. Wrestling heads are insisting Ben Askren is better than Khabib Nurmagomedov. Brian Kelleher has never been more relatable. You ever hear the myth of the chameleon? Chameleon lived in a forest, in the foliage he could hide. He knew he was different, when he looked at himself he knew he did not fit in. Hidden away he observed that the other creatures had similarities to others. Birds had wings, monkeys hands & antelope hooves. His feet were different. He chose to stay hidden away but catching food was limited when hidden under leaves. Each time he ventured out he was spotted by others that mocked him terribly. They picked on his feet, then his nose. These features everyone saw, those who studied him longer realised there was more wrong to him than that. His eyes moved independently & he had a swaying gait which made the other animals mock him as if he’d eaten too many fermented berries. Chameleon had never realised that his eyes moved differently or he wobbled as he walked, these features made him further worried about venturing out from home. Hidden in leaves he was happy, he liked his own company but the need for food, ever present. Chameleon began to worry. One day after an excursion he returned hungry & angry. The animals mocked him again. Something had to be done, so he turned to creator. Creator was shocked at chameleon, he had forgotten about this creation he had made after a heavy night, he instantly took pity & listened to chameleons request. Chameleon simply asked to be invisible. Creator granted his wish & chameleon could choose his appearance depending on the mood at hand, both happy for now, but it did not last too long. Chameleon found that he still needed to walk far to catch his food. His feet did not carry him fast at all & he realised covering distances made him giddy, he went back to creator. Chameleon was bashful to ask another request, after last visit he left happy for what creator had done. As chameleon appeared creator realised that the day he had made chameleon he must have not been well. Chameleons request was promptly met. To this day chameleon remains happy & hidden, his colour changing skin & extendable tongue means he never has to stray far from home. This thread on an 1800s Japanese version of the American Revolution is amazing, truly the best Twitter has to offer. You know it is about to be good when it starts picturing G. Washington with the Goddess of America, but it gets better- much, much better. 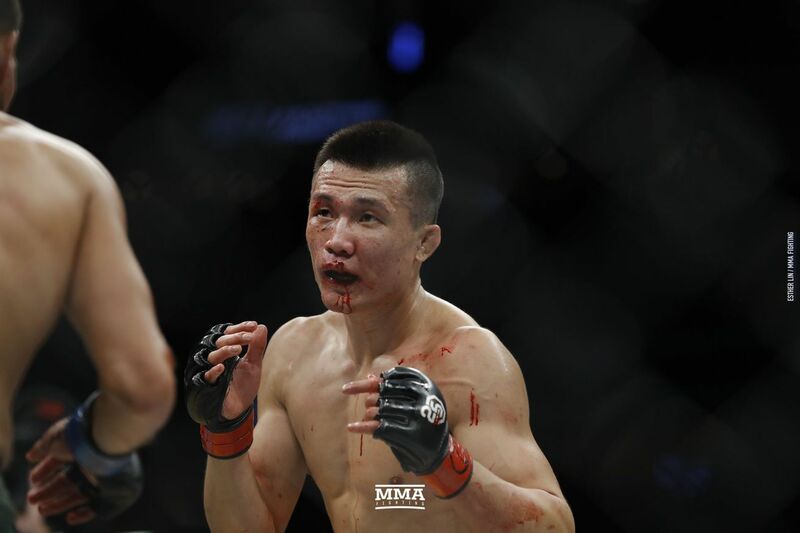 “The Korean Zombie” Chan Sung Jung did it again on Saturday night, turning his fight with highly touted prospect Yair Rodriguez into an all out war that had fans on the edge of their seats. Unfortunately for Jung, he let a judge’s decision slip away from him with one second left when Rodriguez caught him with a crazy 6-12 elbow, knocking him out (watch it here). Following the loss and a bill of relatively clean health from the hospital, Jung released this statement on his Facebook page. 변명이 없네요.. 나를 도와주신 모든 분들에게 정말 미안하고..감사합니다..나를 싫어하시는 분들에겐 축하드리구요. 아직 비행기 탈 몸상태가 안된다해서 몇일 병원에 입원해있다 한국에 들어가게 됩니다. 부끄럽지만..돌아가서 찾아뵙겠습니다. Embarrassed? 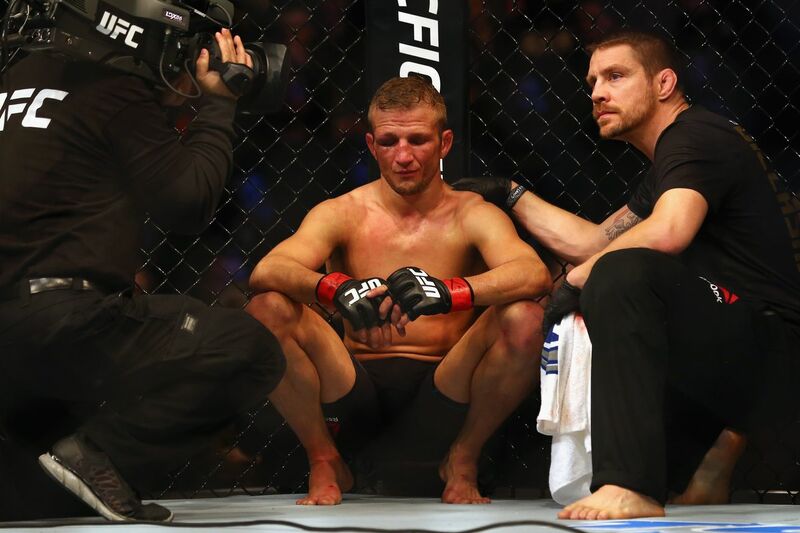 How can a fighter feel embarrassed after such an amazing performance? I personally like “It’s a shame” because yeah, it is a shame you lost with 1 second left. It’s a shame that probably cost you some brain cells. It’s a shame your paycheck will be significantly lower due to the loss. But to feel ashamed or embarrassed? Hells no. That wasn’t embarrassing. That whole fight was awesome, and exactly the kind of performance that made “The Korean Zombie” a must-see commodity way back during his initial rise to fame in 2011. Yep, it was that long ago. “The Korean Zombie” has only fought twice in the past five years. But now Chan Sung Jung is back. After three years of military service and a year and a half due to a knee injury, we get to see him again. There’s absolutely nothing embarrassing about his performances in any way. And it’d be a shame if he saw it any other way. Dana White has heard your complaints about the UFC 230 main event fiasco, and he wants to make things right. That’s the message we’re getting from an Instagram exchange White had with a fan in the comments section of a photo. In case you weren’t aware of the drama, fans have been upset at the UFC for making a lackluster women’s flyweight title fight the headliner at UFC 230, robbing us of a potential five round main event between Nate Diaz and Dustin Poirier. Before you get too excited, note that this is nothing more than Dana saying he’ll try. In a buried comment on Instagram. But he is the guy in charge, right? We’re sure he can make it happen if he really wants to. Of course, when dealing with the Diaz brothers, you know nothing comes for free. 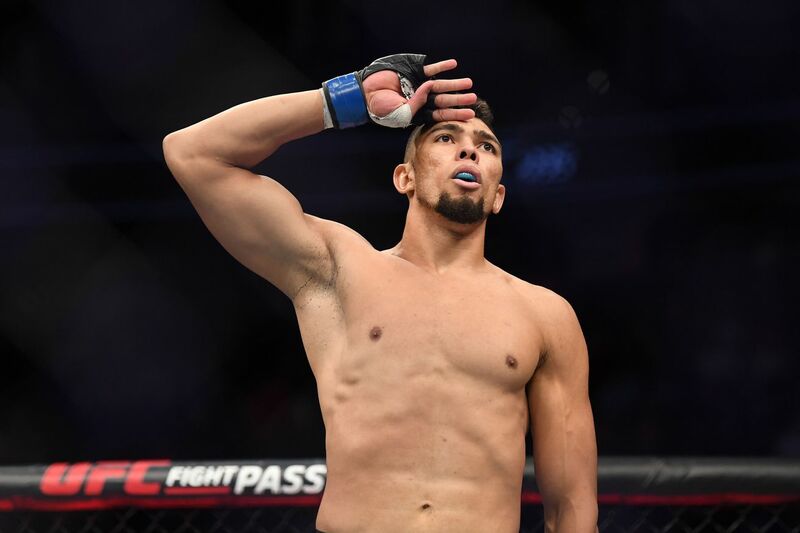 Changing the terms of Diaz’s signed 3 round bout agreement would undoubtedly cost the UFC more money … on a card they just financially crippled with a real lame main event. What do you think, Maniacs? Will the UFC pull this one out of the fire and deliver on five rounds of Diaz vs. Poirier madness? In what appears to be a rare case of a fighter having to apologize for a dominant victory, Mike Jackson has found himself on the defensive regarding his three-round blanking of CM Punk in the days since UFC 225.